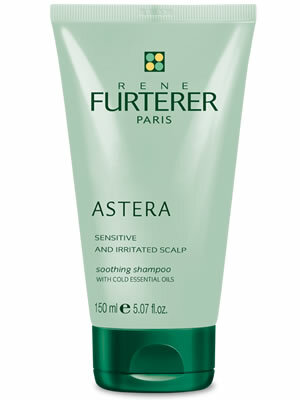 Rene Furterer Astera Shampoo cools and soothes a sensitive and irritated scalp. Rene Furterer Astera Shampoo is specially formulated to soothe and calm sensitive scalps. Asteraceae extract (Echinacea) provides anti-inflammatory and healing benefits while cold essential oils of Peppermint, Eucalyptus and Camphor cool and deep cleanse. This soothing system reduces inflammation and allows the scalp to regain a feeling of relief and comfort.